After visiting Laurel Ridge this morning, I decided to spend the afternoon exploring the northern section of the Blue Ridge Parkway in North Carolina. My main goal was to see Cascade Falls, but I knew that would only take a short while. I went as far north as the Cumberland Knob, which is just south of the Virginia state line then turned back south and exited at US 421. 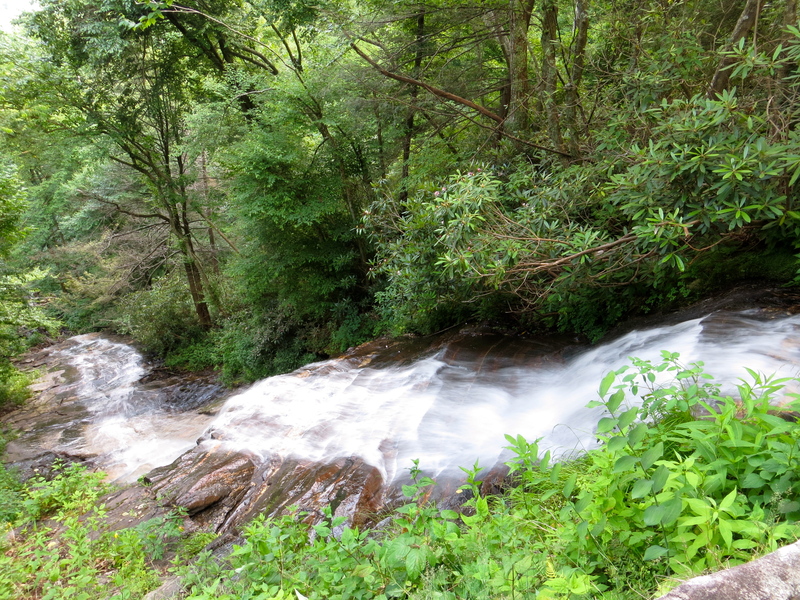 As expected, the highlight of the drive had to be the Cascade Falls as it was by far the prettiest scene on this trip. The NC section of the Blue Ridge Parkway seems to be divided close to the 421 intersection. South of 421 seems to be the attractions that are 4000 feet and higher in elevation, while north seems to be the 4000 feet and lower, which seems to lead to less dramatic waterfalls and views in my opinion. With this said, it is still very beautiful up here, I would rather be exploring up here than working any day of the week. 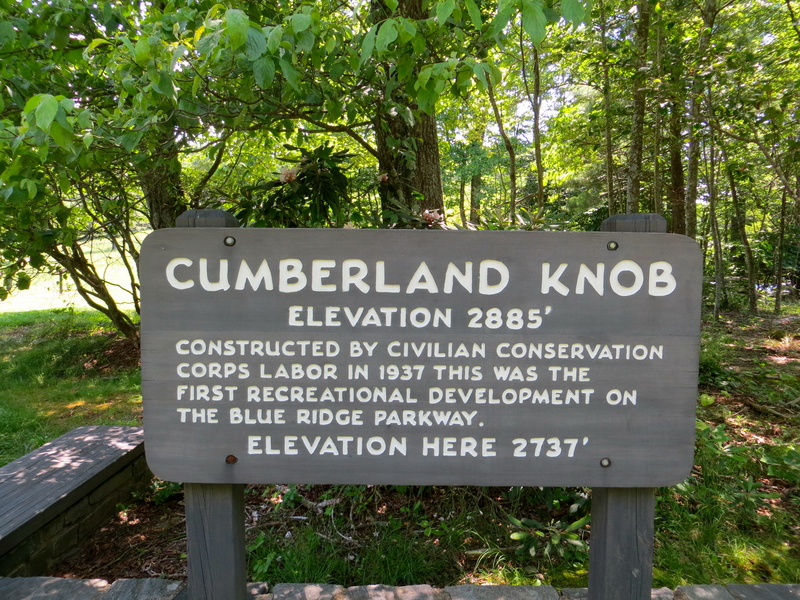 Cumberland Knob is the northern most attraction in NC. It has the distinction of being the very first recreation area built on the BRP back in 1937. 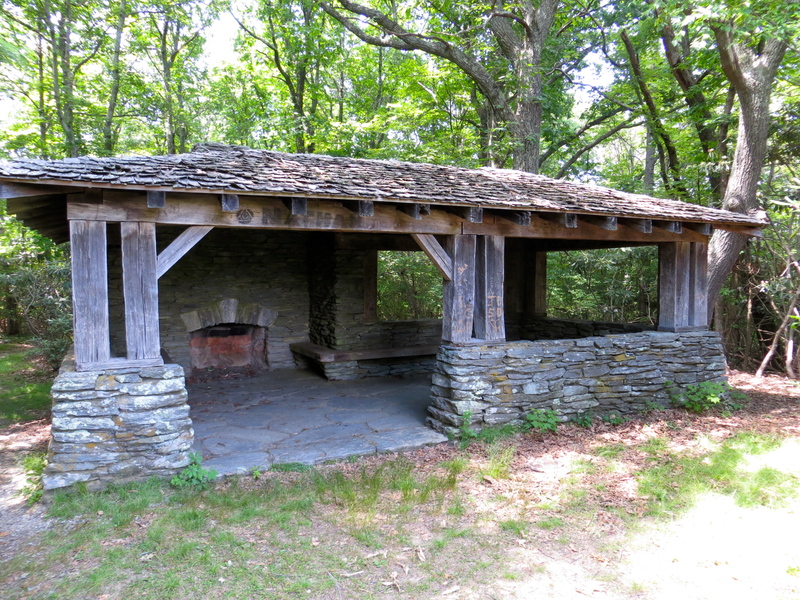 That being said, it is really nothing more than a very nice picnic area that will support many picnics and parties. There are some open fields for the kids to run and play in. After taking this in, I decided to take the short hike to the Cumberland Knob. It is a very short hike with only a short distance going up hill. Once there, all there is waiting for you a very old shelter with fireplace and a small open field. There were no views of any kind of here. I must admit that I was somewhat disappointed. There was the option of hiking back or continue on down into the Gully Creek Gorge, an additional 2 mile hike. Since I knew nothing about the Gully Creek Gorge, I decided to head back and work my way towards Cascade Falls. There is an overlook just down the road from Cumberland Knob that the name of something to do with Fox Hunting. It had an excellent view and even a good view of distant Pilot Mountain. It was far too hazy to get a picture of that on this day. There is also a short 250 foot trail leading to another view point that is even better, probably the best in this area. After Cumberland, the parkway winds and goes as it does for about 12 miles or so with not much to see, then it skirts the outside of Stone Mountain State Park. The only access to Stone Mountain State Park is down US 21 from the parkway and there are no signs saying that you are here or how to get inside. I think that this could be done better as Stone Mountain is an excellent state park and one of my favorite places to visit. 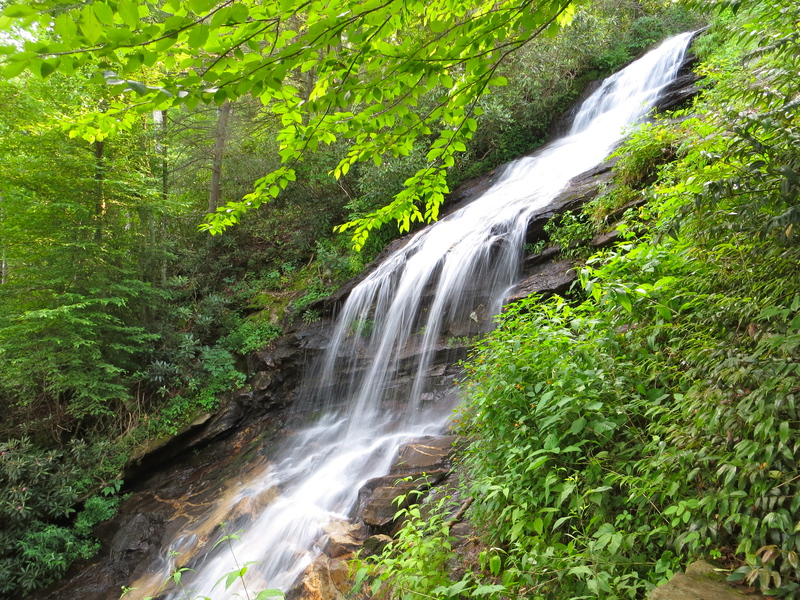 It has some great hiking up the 600 foot dome, and a number of waterfalls including the 200 foot Stone Mountain Falls. 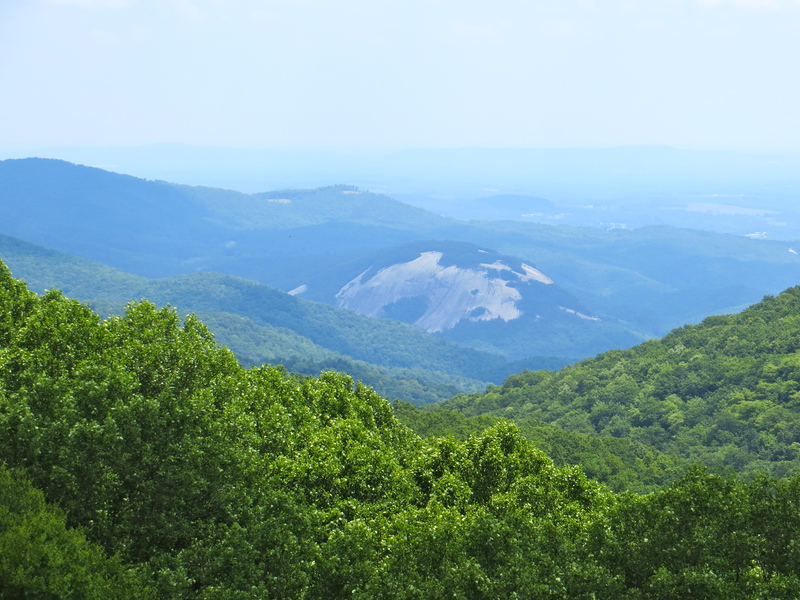 Since the BRP runs along the edge of the park for a good number of miles, and provides several overlooks that show the rock dome below, I would think there would be some signs of how to get inside the park, maybe just an oversight…. Immediately as you exit Stone Mountain State Park, you will enter Doughton Park. This is an excellent area to spend a lot of time. There is the Brinegar Cabin, Bluff Mountain, a large trail system that includes a 20 mile loop that one could spend several days hiking. Down the mountains along the trails are other cabins, smaller waterfalls, and great chances to see wildlife. The Mountains to Sea Trail runs right through this area but stays mainly on the mountain tops. There is a Bluff Mountain Lodge, Bluff Mountain Coffee Shop and Restaurant and Gift Store available. They have all been closed now for 2 years but word is they re-open in 2013. I hope this is true as the best fried chicken the world is served at this restaurant. The Parkway has to make its way through a dramatic part of Bluff Mountain where there is a steep rock cliff to the one side and a steep fall off with a beautiful mountain lake way at the bottom. In the winter, the springs will freeze all over the rocks for an impressive view, sometimes even a small waterfall appears. All is dry in the hot summer months though. After Doughton, The Northwest Trading Post will be available soon, which is a very unusual and nice Parkway store that has a lot of good to offer. Local products, art and tons of parkway memorabilia are offered here. The last stop on my trip was EB Jeffress Park. It is about 5 miles from the US 421 intersection at mile marker 272. It is here that the 1/2 mile trail to Cascade Falls begins. The MST runs through here as well. After a short walk with self guided information signs about the plants, the trail begins to drop. It will cross the creek and continue to run along it. There will be an overlook soon, looking straight down it from the very top, a very cool view. The better view though is just down the path, down some steep rock steps that puts you looking up at the falls and down at the falls. This is where you really appreciate the beauty of Cascade Falls as you have great views up the falls and down the falls as it just seems to fall endlessly. The water level was very good on this day as some storms had gone through the night before. I could see this almost drying up in periods of drought though. I was very surprised by this waterfall and enjoyed it tremendously. 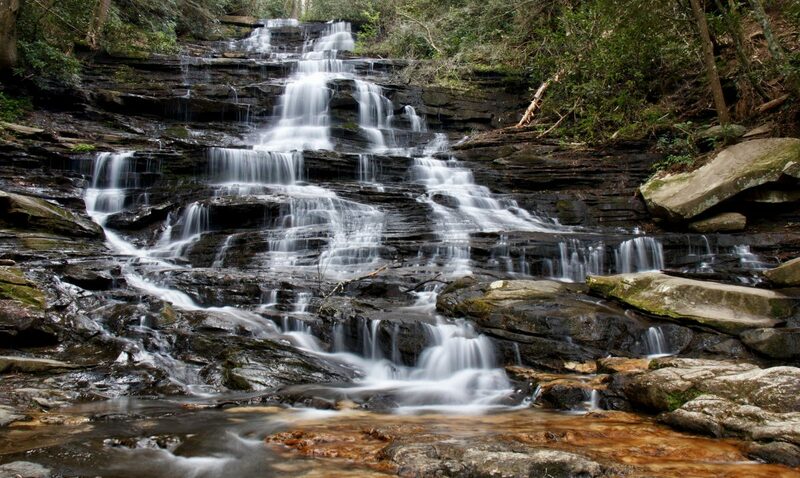 It is definitely one of the top attractions on the northern NC sector of the BRP. Miss seeing u in the morning now that I’m night crew 😒. Have a great 4th!!!!!! 🙂 Pdwag!